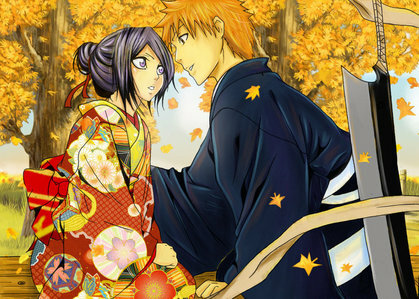 IchiRuki is my OTP... inayopendelewa anime couple! 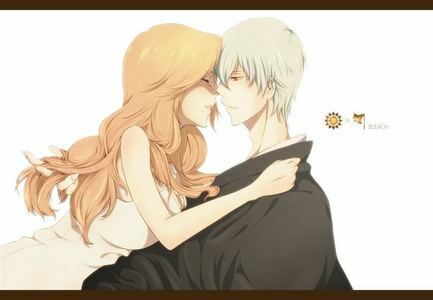 I don't have one - I don't ship couples in anime like Bleach. For Angel Beats, I do, and others that actually have romantic moments in them, but not Bleach - to me, it is simply an action anime, with epic battles and funny moments on occasion. I'd be terribly disappointed to see coupling actually happen in it. Hard-core Deathberry shipper here! 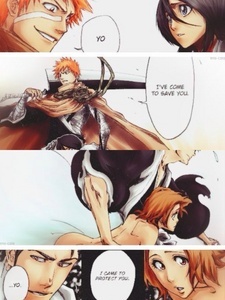 It's ironic how some people like to deny their bond, and despite that, we get a couple name right from Kubo-sensei! It doesn't matter if wewe disagree that it's romantic, because even if it's not like that, we still have our ship named kwa the mwandishi himself! Okay, I can ship this too. But honestly this is just a super cute picture. 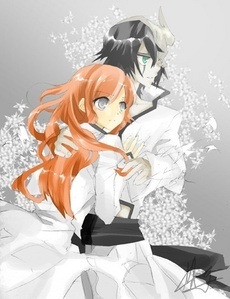 I like Ichigo x Orihime and Orihime x Tatsuki. Yes! I like those couple! Good choices! I'm going to be that awkward person out and choose Ikkaku and Yumichika. I'm sorry but that's like as canon as wewe can get in Bleach. How long do wewe have to live together before wewe just happen to be official…? Also I really just wanted to share this super cute fanart. It brings tears to my eyes!